Spasmodic dysphonia (SD) is a voice disorder. 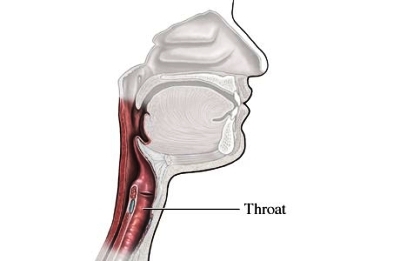 The muscles of the throat freeze or go into spasms. Words are strangled and strained or they don’t get out at all. Sounds are also distorted. Spasmodic dysphonia affects the throat muscles. Often, the exact cause of SD is unknown. It is a disorder of the central nervous system. The areas of the brain that control these muscle movements are deep within the brain. This condition is more common in women and people who are between 30 and 50 years of age. Family history of SD—In some families, a gene on chromosome 9 may be connected to SD. There are no current guidelines to prevent SD because the cause is not known. Daniilidou, P, Carding P, Wilson, J, Drinnan, M, Deary, V. Cognitive behavioral therapy for functional dysphonia. Ann Otol Rhinol Laryngol. 2007;116(10):717-722. Diagnosis. National Spasmodic Dysphonia Association website. Available at: http://www.dysphonia.org/diagnosis.php. Accessed November 9, 2017. Hintze JM, Ludlow CL, Bansberg SF, et al. Spasmodic dysphonia: A revie. Part 1: Pathogenic factors. Otolaryngol Head Neck Surg. 2017;157(4):551-557. Hintze JM, Ludlow CL, Bansberg SF, et al. Spasmodic dysphonia: A revie. Part 2:Characterization of pathophysiology. Otolaryngol Head Neck Surg. 2017;157(4):558-564. Rosow DE, Parikh P, Vivero RJ, Casiano RR, Lundy DS. Considerations for initial dosing of botulinum toxin in treatment of adductor spasmodic dysphonia. Otolaryngol Head Neck Surg. 2013;148(6):1003-1006. Spasmodic dysphonia. American Speech-Language-Hearing Association website. Available at: http://www.asha.org/public/speech/disorders/SpasmodicDysphonia.htm. Accessed November 9, 2017. Spasmodic dysphonia. National Institute on Deafness and Other Communicative Disorders website. Available at: http://www.nidcd.nih.gov/health/voice/Pages/spasdysp.aspx. Updated March 6, 2017. Accessed November 9, 2017.